Author Paul Wing has more than half a century of experience as a stereo photographer and collector of unusual stereoscopes and stereoscope patents. In "Stereoscopes: The First One Hundred Years" he shares with us a cornucopia of 2-D and 3-D photos of rare stereoscopes, patent drawings, engravings, and early advertisements. The easy-to-read text is enhanced by numerous examples scarcely known outside a small group of collectors and museum curators. This book embarks upon a marvelous journey in time, from the earliest simple model stereoscopes to daguerrotype viewing cases, stereographoscopes, Taxiphotes, and more elaborate viewers resplendent in materials representing the technologies and styles of the period examined. More than 700 superb photographs (many in 3-D), engravings, patent drawings and period advertisements illustrate the variety of forms that this optical instrument has taken. 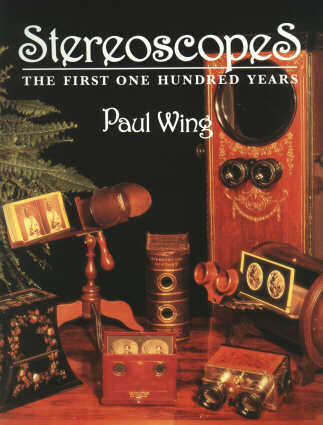 A fascinating and detailed text, extensive captions, appendices, glossary, and index provide a complete history of the stereoscope, its technology, its variations and its collectors, and for the first time, presents a comprehensive history of the 3-D viewing device, the stereoscope, rather than the stereo image. To the rest of us, it may provide an inspiration to begin our own collections (or to know more about what we have already collected), and the opportunity to own the world's finest collection of stereoscopes - if only on paper. For the historian, librarian, collector, or enthusiast, this book will become an invaluable and enjoyable reference on the Subject. Proprietors, Reel 3-D Enterprises, Inc. The beginnings, with an extension of Brewster's ideas beyond 1855 in the interest of clarity. Early designs for box-type, multiple rotary, folding, and so forth, not of Brewster design. Early United States participation, with emphasis on Alexander Beckers' rotary multiple-view machines. A well-designed class (domestic and overseas) of viewer cases designed for daguerrotypes. 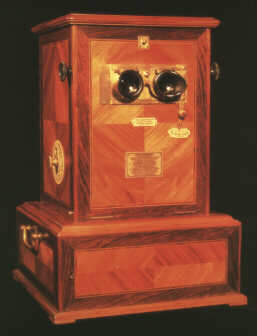 The Holmes-Bates scope from 1860 to 1890. For 17890 to 1930, see chapter 8. All designs other than stereographoscopes and Holmes scopes over the 30-year period. A review of this class beginning in England and spreading to France and the United States. The era of the Underwood & Underwood mass-produced viewers and boxed sets of views. The remarkable viewers for the new formats introduced by Richard and Gaumont in France. Special scopes not readily classified and a last look at more unusual designs. Paul Wing was born in Sandwich, Massachusetts on March 9, 1913. He graduated in 1934 from the Massachusetts Institute of Technology with a degree in Chemical Engineering. He was a leading specialist in the design and application of process control valves throughout a 48-year career in instrumentation. He was named a Fellow of the National Stereoscopic Association in 1985. He has served the Board of Directors of NSA and also received a pecial Outstanding Stereographer Award in 1990 from the Association. At the NSA annual meeting in 1979 he was recognized with a Life Achievement Award from the Stereoscopic Society American Branch (now SSA). Paul was also a Fellow in the Third Dimension Society of Great Britain and a charter member of the Photographic Historical Society of New England. He was a member and past president of the International Stereoscopic Union (ISU) and has been a member of Great Britain's Stereoscopic Society for about 50 years. In 1994, the ISU awarded Paul a Certificate of Appreciation in which he was characterized as "a teacher and inspiration to us all." He was also known internationally for his modern stereoscopic slides and prints. A member of the Photographic Society of America since 1967, he had a substantial record in Salon competition and in 1994 was awarded a Fellowship. 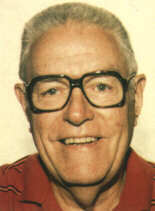 At the 1995 annual meeting of the Stereoscopic Society of America, Paul Wing was granted Life Membership status. The collection of nineteenth century stereoscopes that Paul gathered is important and outstanding, and server as a focal point for the preparation of this book.